The latest news and answers to your questions about scholarly publishing and open access. Are you curious about the conversation around issues of invisible labour in open scholarship hosted at SFU Harbour Centre during Open Access Week 2018? Kim O'Donnell, a Research Associate at SFU Library's Digital Humanities Innovation Lab (DHIL) has shared a great event summary over on the DHIL Blog. Check it out to learn about the conversation between our panelists, Carol Munoz Nieves, a Research Assistant at SFU; Juliet O’Brien, a Lecturer at UBC; Sanjaya Mishra, an Education Specialist at the Commonwealth of Learning; and Melissa Ashman, an Instructor at KPU. 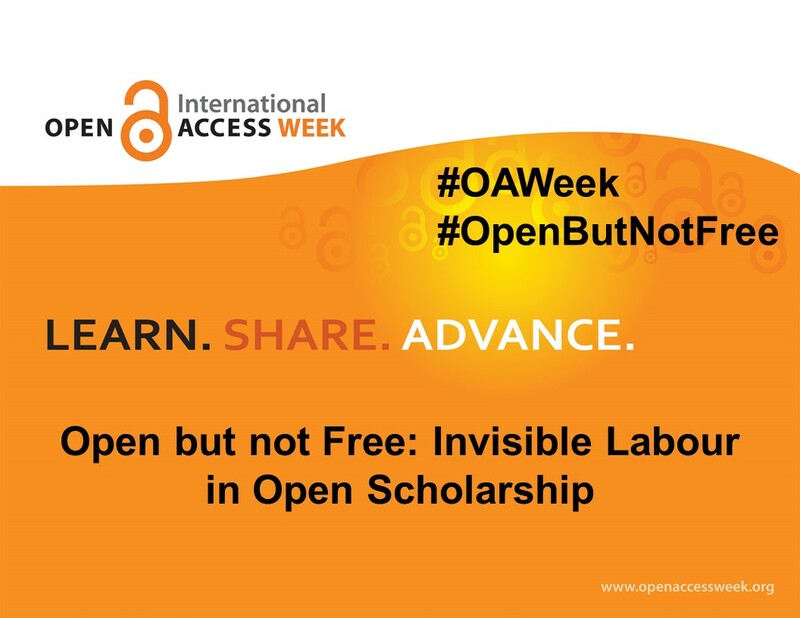 Read the full blog post here: Open but not Free: Invisible Labour in Open Scholarship Panel.